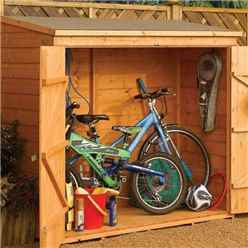 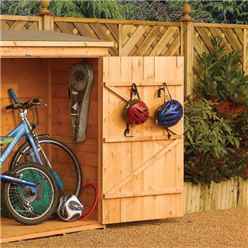 The Deluxe Rowlinson Wallstore / Bike Shed is an ideal storage for your bikes and other tools from the garden. The wide double doors give you wide access and are secured with a quality bolt and padlock protector (please note the padlock is not included). The shed is constructed from high quality tongue and groove shiplap cladding which is supplied with a free factory basecoat dipped in a honey brown finish. 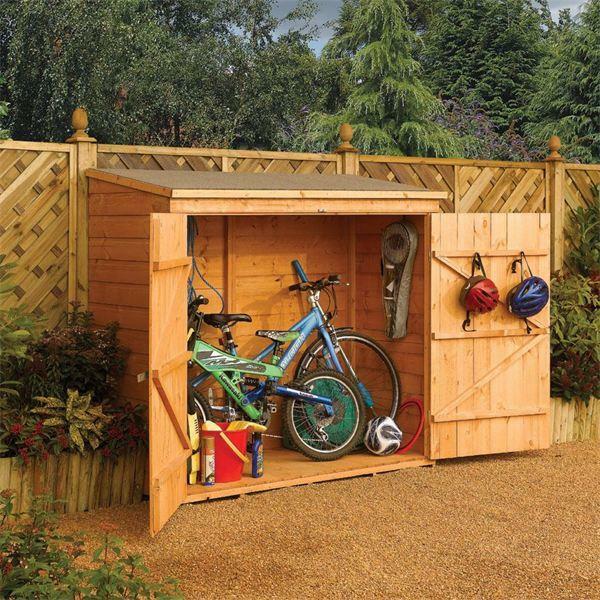 The high quality floor joists give the shed a solid and sturdy feel and allow a larger load capacity making the Deluxe workshop ideal for storing larger heavy items. 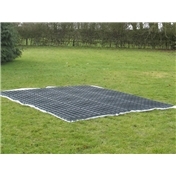 The floor is constructed from Tongue & Groove giving a strudy floor for heavier items. 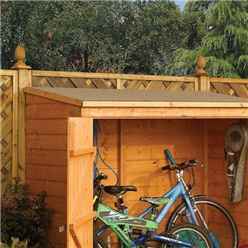 The roof is constructed from Solid OSB Board.